Set the angle and the position of the light source. 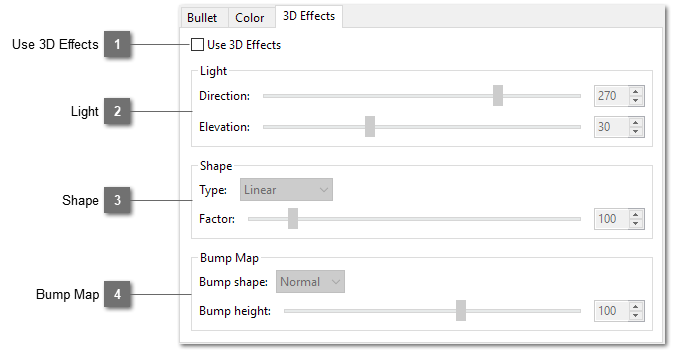 Create a bump map from the bullet for 3D effects. The bump map is a shape with gradient shading from black at the edges to white in the centre. You can change the shape of the gradient among linear, circle up, circle down and a smooth transition. You can also change the rate at which the gradient changes by adjusting "Factor". Change the bump map generated from a shape of the bullet by setting bump shape and height.